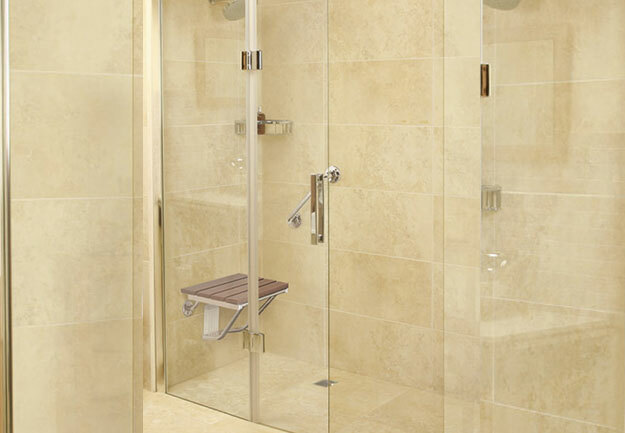 Fitting in the same space as your old bath, the NEW Safe & Easy Wet Room is the very latest in modern shower design. Its high quality fittings will add real style to your bathroom. In addition, the Safe & Easy Wet Room has been cleverly designed to meet your changing needs too. Its wide entry and easy accessibility means stepping into the Safe & Easy is exactly that – safe and easy. Combining practicality with the latest innovations in bathing solutions, the luxurious NEW Safe & Easy Wet Room can help you regain your independence at home.